Paperback $16.95 + Flat-rate shipping & handling as low as $4.00 for US customers. Faster shipping and international shipping available for more. 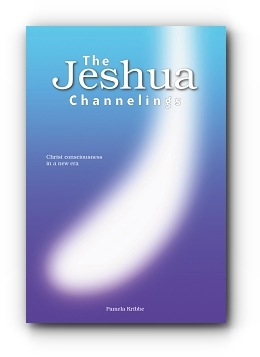 The Jeshua Channelings are a series of spiritual messages about the transformation of consciousness in the present era. Humanity is growing towards a heart-based consciousness, acknowledging the oneness of all that lives and letting go of fear-based ways of thinking and living. As you evolve into this new level of consciousness, a deep inner transformation takes place. Jeshua’s channelings seek to support you in this process, offering guidance, inspiration and a clear perspective on where you are going. Jeshua is the Aramaic name for Jesus. He prefers this name, as it better conveys his humanness and kinship with us. In these channelings, Jeshua presents himself as our brother and friend, who knows about the hardships of human existence and who wishes to lighten our burdens by sending us messages of love and hope. Jeshua’s messages shed light on our soul history and destination and they also deal with everyday issues such as relationships, health, work, and more. They are written in a clear and accessible language. Some books are filled with shining wisdom. Others radiate great love. A few – a very rare few – are overflowing with both. The Jeshua Channelings is one such book. If you want to know who you really are, why you’re here, and what your life is truly about, look no further. This book gently and compassionately guides readers toward remembering their magnificence as divine souls. Brilliantly insightful and inspiring, it is true gem and a blessing to our world. Pamela Kribbe is a spiritual teacher and writer who started to receive channeled messages from Jeshua (Jesus) in 2002. Since then, many people around the world have been inspired by the clarity and depth of these messages. She lives in The Netherlands with her husband Gerrit and daughter Laura.